Accordianist Lorenzo Martinez and guitarist Ramon "Rabbit" Sanchez will introduce Middle Tennesse to Conjunto music Wednesday, Mar. 23 at the Center for Popular Music on the MTSU campus beginning at 7:30 p.m.
MURFREESBORO, Tenn. (WMOT) -- Are you familiar with Conjunto Music? An expert in the genre will make a mid-state appearance this week to explain why you should be. Dr. Dan Margolies of Virginia Wesleyan College has been studying Conjunto for years and says it really should get more respect. Margolies says the Mexican American community has struggled to keep the music form alive and vibrant. He really thinks it should get more musical respect. Dr. Margolies will speak about the music this Wednesday at Middle Tennessee State University. 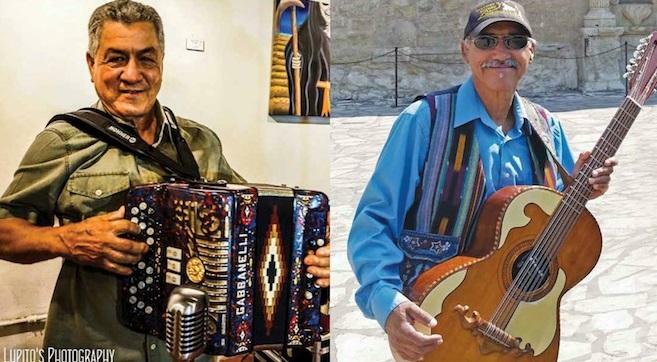 He’s bringing along what he calls two of the genre’s best known artists, accordionist Lorenzo Martinez and guitarist Ramon “Rabbit” Sanchez. You can enjoy an evening of Conjunto beginning at 7:30 p.m. at MTSU’s Center for Popular Music.